When I discovered lactation cookies, the nutritionist in me was skeptical. For real? Cookies to increase breast milk? It sounded too good to be true. And sometimes, it is— several brands on the market are shelf stable and full of refined sugars. That said, with a little creativity in the kitchen, you can make a version that is healthy and effective. As a doula, I’ve made these oatmeal lactation cookies for myself and several clients, who are now all believers. 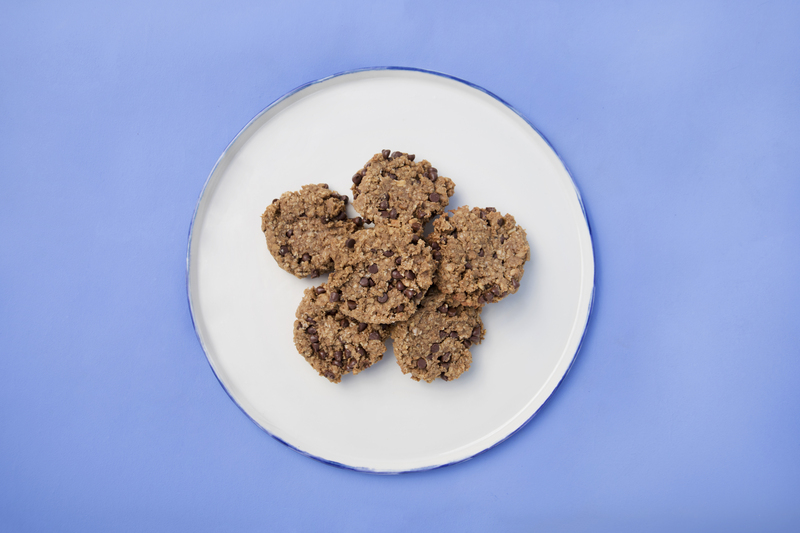 The magic behind these cookies comes down to two ingredients: oats and brewer’s yeast. Oats and brewer’s yeast are galactagogues, which is a fancy word for foods that increases the flow of a mother’s milk. The addition of grass-fed butter increases the fat content of breast milk, providing baby with vital brain nutrients such as DHA. These hearty cookies are packed with B vitamins, minerals, protein, and healthy fats making them an excellent snack for nursing mothers. The magical oatmeal cookie that's good for your soul, and for your milk production. Pre-heat oven at 350F degrees. Put your 2 cups of rolled oats into a high speed blender or food processor. Blend until the oats are a flour-like consistency. Put dry ingredients into large bowl and mix. In a smaller bowl, put almond butter, melted butter, honey, eggs, vanilla extract and mix well. Pour the contents of smaller bowl into the dry ingredient bowl. Mix well with spoon or clean hands. Add in mix-ins, if desired. Grease a cookie sheet with coconut oil. Form small flat balls, about the circumference of a silver dollar. Bake cookies in oven for 14-16 minutes. Check for slight browning on outside of cookie. Remove from oven and transfer cookies to a cooling rack. Enjoy warm, or let cookies cool to room temperature. Almond Butter: Can be replaced with sunflower butter or tahini, if allergic to nuts. Peanut butter can also be used. Grass-Fed Butter: Can be replaced with coconut oil. Raw Honey: Can be replaced with maple syrup. *We used NOW brewer’s yeast but we also suggest Herbal Secrets or any other non-GMO product.